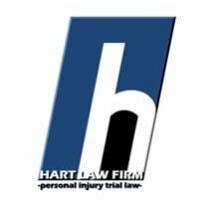 The Hart Law Firm is proud to be a strong and professional advocate on behalf of injured individuals and their families throughout Texas. We are not a personal injury "mill." Instead, we work hard to give our clients the personal attention they need and deserve. While some firms have each of their lawyers overseeing hundreds of cases, we do not. We are exclusive in our case selection in order to provide clients with the highest level of service. Mr. Hart earned his J.D. in 1986 and his LL.M. in trial advocacy in 2013. He is a member of the Million Dollar Advocates Forum and has obtained multimillion-dollar verdicts and settlements in a variety of personal injury cases. For the past 15 years, Mr. Hart has held the highest possible rating of AV Preeminent* from Martindale-Hubbell. He is also rated 10.0 "Superb" by Avvo. He is board certified in personal injury trial law by the Texas Board of Legal Specialization. He is also certified by the National Board of Trial Advocacy and the National Board of Civil Pretrial Advocacy. To schedule a free initial consultation, call The Hart Law Firm in Colleyville, Texas, today. We are conveniently located near the airport, in the middle of the Metroplex between Dallas and Fort Worth. We know you’re hurting after an accident, so we do the work while you recover. There are a lot of questions after a car or truck accident. If you're reading this, it is likely that someone you love was injured in a Texas truck accident, and you're looking for answers. As experienced Dallas car wreck attorneys, one of the most common questions we hear from clients after an accident is: was it my fault? When we picture ourselves in a car accident, we think of broken glass, smashed fenders, and deployed airbags. It's a scary thought, but what about those who don't have the steel safety of a car to protect them in the event of a crash? There are a few things that happen in the moments after an accident. First, we make sure everyone is okay. Then we call 911.